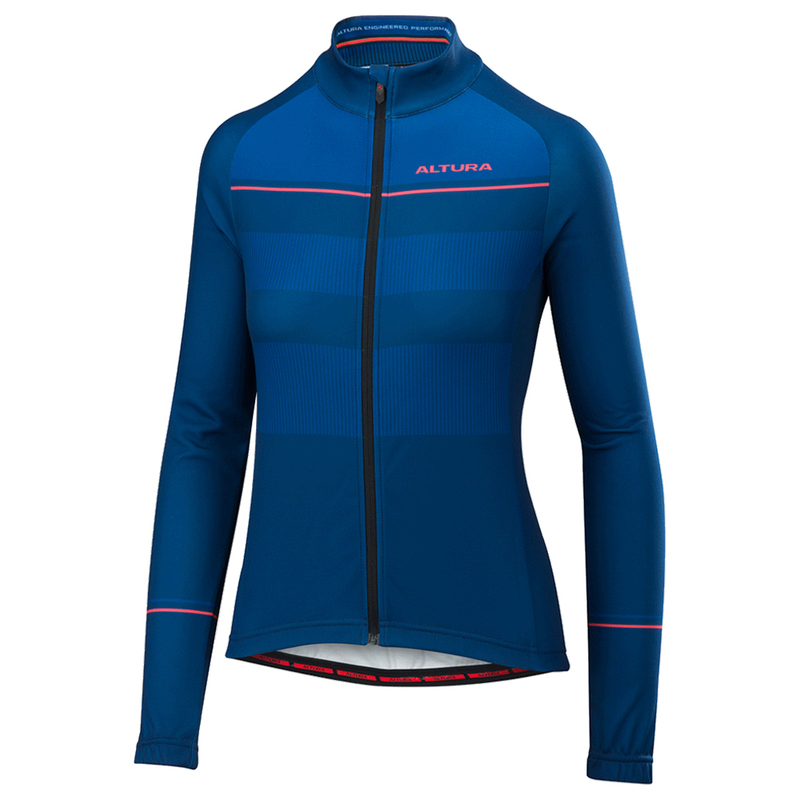 The Altura Airstream long sleeve cycling jersey uses a thermal brushed back fabric which feels warm to the touch and provides excellent moisture wicking properties. Its thermal capabilities help to retain body warmth without compromising breathability. A full-length zipper with chin-guard helps with comfort and breathability enabling the rider to cool down or retain heat when required. The three deep rear cargo pockets have extra support stitching help to retain their shape when full of ride essentials. A smaller zippered valuables pocket providing is idea for keeping your keys or loose change in during your ride.